I love the simplicity of nature, who would think a simple little plant called chasteberry could be the savior for so many women in the world. Also known as Vitex, chasteberry is a shrub that’s native to the Mediterranean and Central Asia. It has long finger-shaped leaves, blue to violet flowers and dark purple berries. The fruit and the seeds is what’s used to create this incredible healing elixir. Chasteberry contains many phytochemicals and flavanoids that are known to have many healing effects on your health. Studies have shown that some of these flavonoids can influence certain hormone levels in your body in particular prolactin, progesterone and to a certain extent estrogen. What conditions does Chasteberry help with? 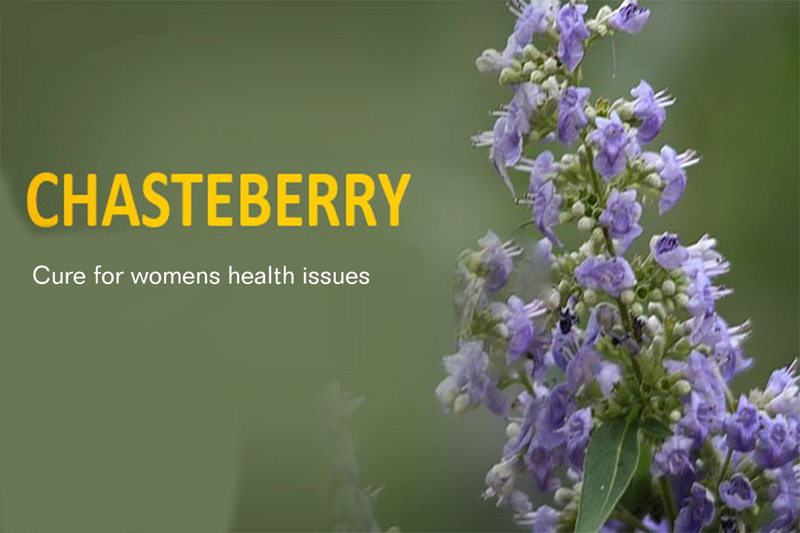 The health benefits of chasteberry are mostly related to reproduction and menstrual health in women. Despite containing no hormones or hormone-like compounds, this herb can actually influence your hormonal activity by stimulating the pituitary gland to create more luteinizing hormone (LH). How Much Chasteberry Should I Take? The therapeutic dose of chasteberry depends on the brand that you chose. It’s available in liquid, capsules, and tablets. Most clinical trials used a dose of 20-40 mg/day, although I’ve seen trials of it being used in much higher dosages in the realm of 1800 mg/day. Searching through the internet I found incredible anecdotal testimonies of infertile women becoming fertile, PMS issues disappearing and irregular menstrual cycles becoming normalized. The most popular brand in Amazon.com is Vitex+. Personally, I think this plant is a precious jewel that is going to help bring much needed healing to all that need it. Is your Skin tarnishing your Jewelry? Alkalize your body! Sean Marty, I thank you for all of your video’s that I’ve watched so far. I’m sharing them with family and friends. You are truly a Wonderful Blessing, I believe to all, who watch your video’s. Thank you! Your words are truly appreciated!